Gabriel Soto and Irina Baeva will star in Televisa's new production "Vino El Amor," which is set to film in Napa Valley, California. When Is 'Yago' Telenovela Returning To Univision? "Yago" is taking a small break, but you can watch here a preview of the new episodes coming up next week. Telemundo aired a new teaser for Season 3 of "Señora Acero." Watch the preview here! "Tres Veces Ana" premiered with Angelique Boyer and Sebastián Rulli. Watch the opening credits with Pablo Alborán theme song here! 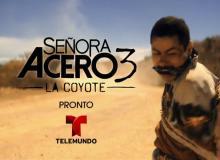 "Tres Veces Ana" premiered on Univision and these viewers are already hooked after watching the first episodes. The telenovela starring Iván Sánchez will continue on Univision, but will take a break. Find out when it will return here! Angelique Boyer returns to Univision with the "Tres Veces Ana" telenovela premiere. Find out how to live stream Episode 1 online! 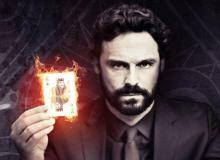 Telemundo counter-programmed the "Tres Veces Ana" premiere on Univision with "El Señor De Los Cielos" igniting a ratings battle. Angelique Boyer and Sebastián Rulli return to Univision with the premiere of "Tres Veces Ana." Find out what are the reasons you can't miss the premiere! 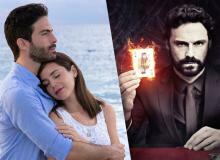 What Happened On 'El Hotel De Los Secretos' Finale? The finale of "El Hotel De Los Secretos" was full of surprises for all the characters involved. Find out what happened to everyone and how this story ended here! 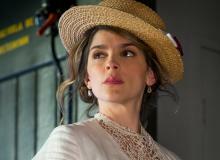 Compare and contrast Belen's death from the original "Gran Hotel" series with the Mexican remake "El Hotel De Los Secretos." The last episode of "El Hotel De Los Secretos" airs on Friday, May 20 starting at 9pm/8c on Univision. Univision is making major changes to its primetime block as it ships "Yago" to its sister network UniMás. Find out what telenovela will take its place here!